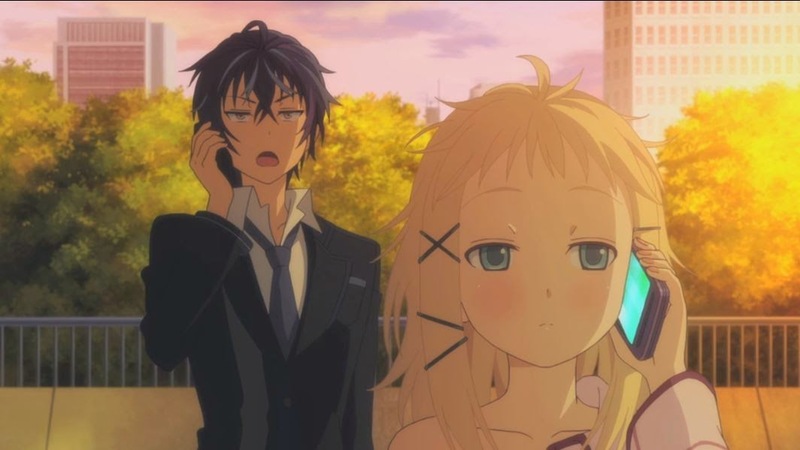 Black Bullet was undoubtedly one of the more hyped series of the Spring 2014 season. I'm pretty sure that a lot of it had to with Satomi Rentaro's voice actor, Kaji Yuki. No, that's far from the only reason for Black Bullet's hype but having Yuki star in the project less than a year after his icon-achieving role as Eren Yeager in Shingeki no Kyojin (Attack on Titan) was certainly going to raise some awareness levels for this particular anime. Fair or not, comparisons were going to be made between the two anime even though they really do not have anything to do with each other outside of sharing a voice actor and a few of your basic apocalyptic tropes. Thankfully, Yuki's character isn't the high-strung blood-thirsty kid with an inferiority complex that is Eren Yeager. Rentaro actually has a sense of humor and doesn't take himself quite as seriously. Revenge does play a key part in Rentaro's mindset, though. 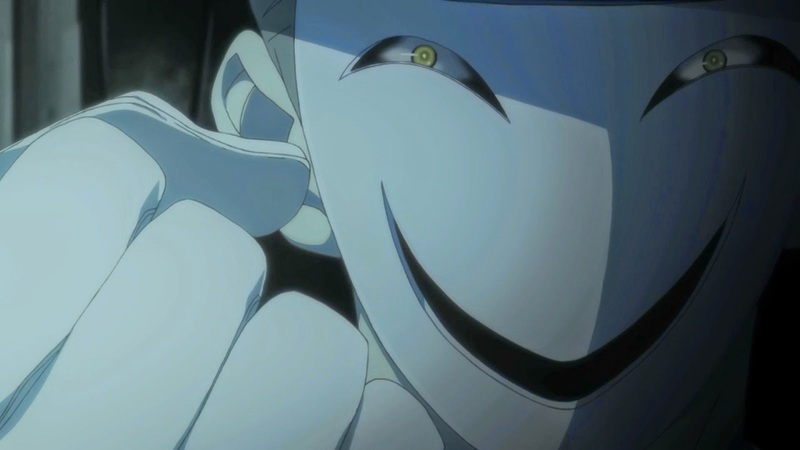 This revenge is aimed at the enemies in Black Bullet, large bug-like creatures called Gastrea. In some ways they reminded me of poorly animated CGI-counterparts of the bugs in Starship Troopers. If I had any major complaint about this series is that the Gastrea just don't look very menacing. Of course, neither do most of the titans in Attack on Titan, but the creatures in Black Bullet look especially dull. What greatly helps Black Bullet overcome this design flaw is the fact that this anime doesn't take itself too seriously. When "Lolis are the last hope for the earth" is the primary plot point it can afford to goof off a little bit. 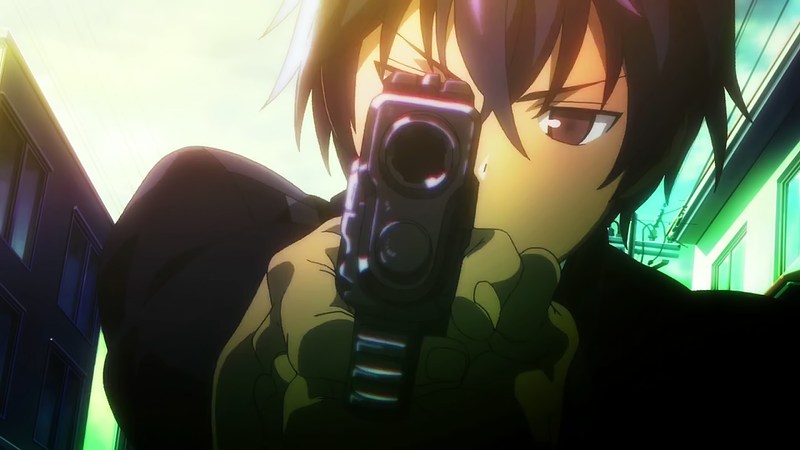 However, Black Bullet isn't an entirely safe anime, either. Yes, there's plenty of moe and shounen-style action, but there's also a darker edge to this series. Most of the fighting characters in this anime are children (all of the children are girls, actually) and it's the children that have to do most of the fighting because they are descendants of women who were infected by the Gastrea virus. These children were bestowed unique powers (and some trademark glowing red eyes to boot), but with those powers came the scorn of the regular people. You know, everyday dickheads just like you and me. Many of the children (often called Cursed Children) are treated like dogs, but those that are special enough and powerful enough to fight against the Gastrea are enlisted by the government and the Civil Security Corporation to do so. Once these children become warriors they are known as Initiators while the humans that watch over them (or in many cases use them and abuse them) are known as Promoters. Satomi Rentaro is one of the few Promoters that treats his Initiator like a human being, even going so far as to make sure she still goes to school. Many Initiators are not so lucky, though. Not only are they shunned or beaten, but many of them meet unfortunate ends at the hands of the very same civilians they are supposed to be protecting. At one point in the anime one of the Cursed Children is shot repeatedly by some policemen and almost killed. Police brutality much? 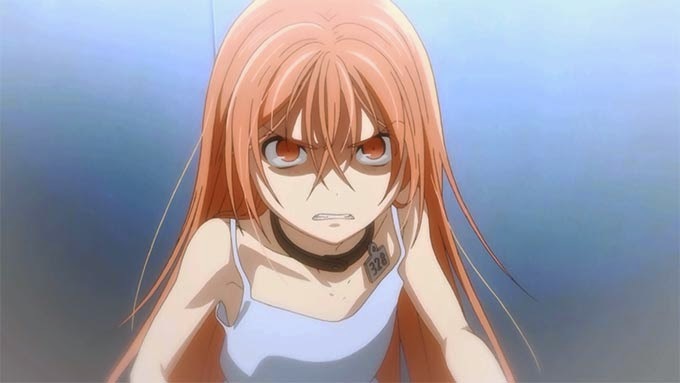 So yes, there's plenty of violence and even a message about discrimination to go along with the moe and lolis. But that doesn't necessarily make this story a must-watch, either. This anime has quite a few things going for it that I love, but it does feel rushed. Notice I didn't say "suspenseful." The anime is very suspenseful and it moves very fast, but the problem is that it moves too fast at times. The direction is a bit uneven because characters are killed off so quickly after they are introduced that it just deadens the impact a bit. Had these characters been given a bit more time to actually live a little then the payoff would have been that much better when those characters bit the dust. Still, I can say that I really do like the series. It's not quite what I was hoping it would be, but I don't think it is bad enough to be considered a disappointment, either. A lot of people don't like it when too many elements are added to a story, but I like a good bit of diversity (assuming the writers are up to snuff when it comes to juggling the elements). Black Bullet, more often than not, succeeds rather than fails. I mean, this stuff is a masterpiece compared to a Michael Bay film. This story just needed a bit more room to breathe and a bit more time dedicated to the masked man, Kagetane Hiroko. Although he's gleefully corny and insanely overplayed (purposely so, I should add), Hiroko adds a lot more to the series than I first thought he would. Obviously, he'll remind people of the Joker and the character doesn't do much to dissuade the comparison, but I don't think anyone will find fault in that. Hiroko, while undoubtedly a villain based on his motivations, is a fun character and one you want to see more of with each passing episode. During the middle of the series he is largely absent and I didn't notice just how much of a presence the character had until he was supposedly "killed off." Of course, I figured he'd turn up later and I was right. This anime has one more episode left and I don't think it will be the last one, either. While not as insanely popular as Attack on Titan, I imagine it will get some sort of second season or perhaps even a more fleshed out reboot in the future. We'll probably even get a second season of this before we get one of Attack on Titan.